Calling all investors! Great investment opportunity to own a multi-unit building in a desirable location close to downtown Trenton! You will start making money from Day 1. This brick building consists of two 1 bedroom units each with separate utilities. The first floor unit offers one (1) bedroom, one (1) bath, living/dining room combination, kitchen and full access to huge backyard with fence. The second floor unit offers one (1) bedroom, one (1) bath, living/dining room combination, kitchen and loft. Both tenants have been long term tenants over the past 8 years. Some of the many renovations and upgrades took place in 2006 include but are not limited to, kitchen & bathroom redone, drywall installation, two (2) gas furnace and ductwork, newer electricity, newer roof, and newer windows. Tenants have separate gas and electric meters for both units. 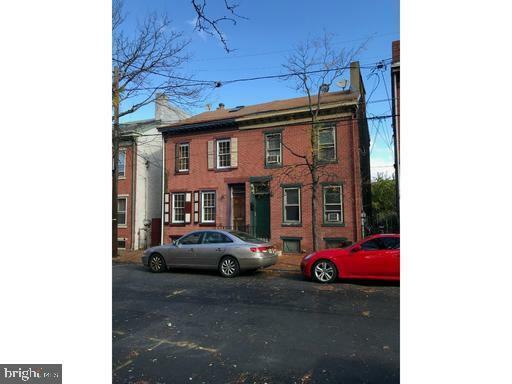 Walking distance to Trenton City Hall, State & Federal Courthouses, Concert Venues, Train Station and Roebling Market, Restaurants, Museums, Mill Hill Playhouse, Post Office, Motor Vehicle Building. (Minor cosmetic repairs needed to corners of drywall from cat in 1st floor unit.) Being sold "as is" - New Owner is responsible for all inspections and ordering and receiving of certificate of occupancy.